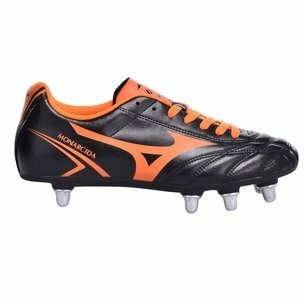 Ready for the scrum, equip yourself for the games that matter most with these Mizuno Waitangi Primeskin SG Rugby Boots in Black, White and Orange Clownfish. 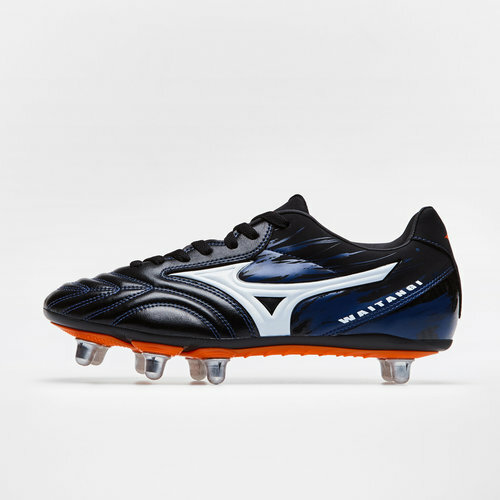 These top quality rugby boots from Mizuno, ideal for the forwards, have a lightweight yet strong synthetic upper that features soft Primeskin material which improves the fit and feel of the boot. 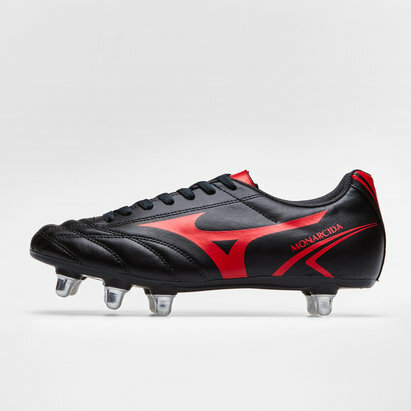 They also include a wider fit and a cushioned anatomically moulded removable sockliner inside. 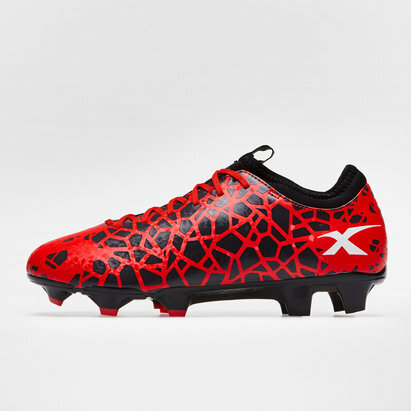 Built upon a graded Pebax soleplate, diagonal flex grooves and a dual density insole board enhances forefoot flexibility and improves traction in the scrum by providing a solid platform to work from. 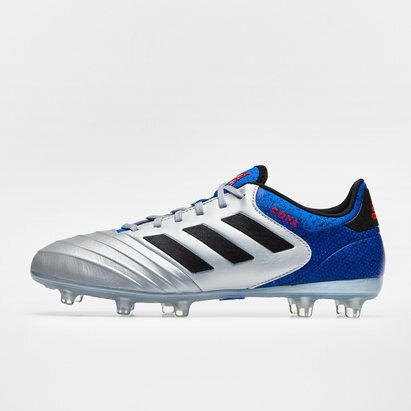 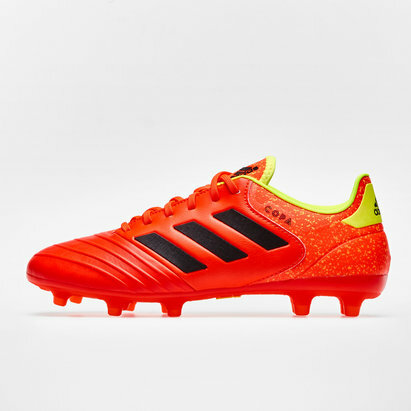 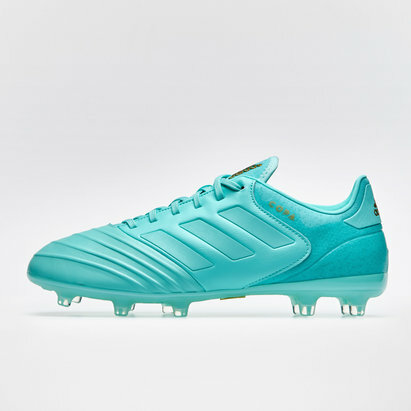 Optimised for soft ground pitches, removable metal studs also provide reliable grip and stability. 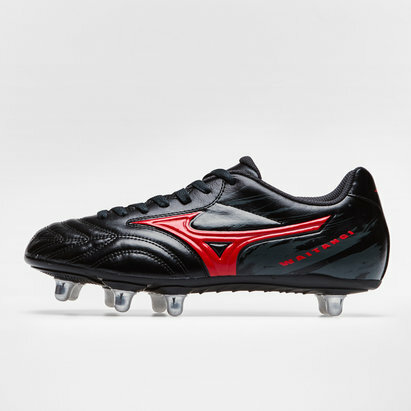 Stand firm in the scrum and push your team forward to victory by lacing up the comfortable and controlling Mizuno Waitangi Primeskin SG Rugby Boots.